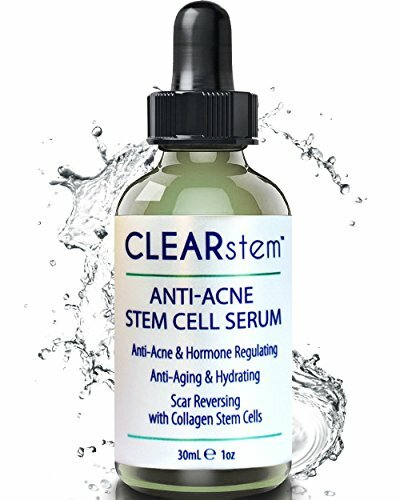 What is ClearStem Acne Scar Removal Serum? What’s to mention about its formula? What are the tips to remember when using it? Having a nice and clear skin is no picnic and finding the right skin care products shouldn’t be that complicated. Slowing down the aging process of skin, getting an evener skin tone and eliminating scars from skin relate to your efforts of having a younger and nicer looking skin. Some skin care products manage to address several skin conditions, but sometimes you need to use a specially formulated product to eliminate for good a skin condition. 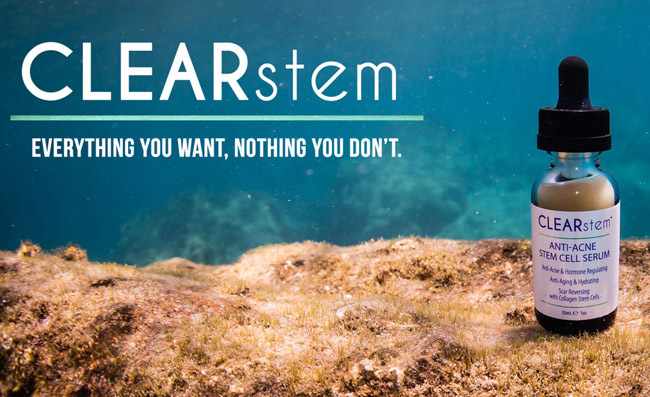 As you can easily tell by its name, the Acne Scar Removal Serum by ClearStem is a strong anti-aging serum that doesn’t just fade sun and age spots, but also reduces the visibility of wrinkles and fine lines. You’d want to use the serum whenever you’re determined to firm, brighten and smooth out your skin, for a youthful complexion. The formula of the serum is based on anti-oxidants that fight the free radicals, minimizing the effects of sun damage and the appearance of sun spots and various discoloration. The serum hydrates your skin as it also shrinks the pores, eliminates acne and keeps breakouts at bay. It also reduces the looks of acne scars and gives your skin a healthy glow. The formula of the serum includes high quality natural and organic ingredients. It doesn’t include chemicals, perfumes or other artificial ingredients either. The serum is formulating in our USA and has never been tested on animals, being cruelty-free. The serum is a concentrated stem cell product that manages to be effective, yet gentle on skin. It works for all skin types, sensitive and acne-prone skin including. Due to its formula, the serum balances hormones in the skin. The Green tea and mushroom extract are well-known adaptogens that sustain skin’s stability, no matter the outer stressors. The serum heals acne and fades out dark spots through the bio-available collagen stem cells. Green tea-it’s an anti-inflammatory ingredient that keeps acne at distance. It controls breakouts and has anti-aging abilities too. It diminishes puffiness and dark circles around the eyes. It controls the oil production in skin and tones it efficiently. It treats eczema as well. Mushroom extract- it’s a natural skin whitener that fights acne and hydrates the skin. It has anti-aging benefits and addresses various skin conditions too. It has anti-inflammatory properties and works for acne, rosacea, and eczema. Hyaluronic acid- it seals in the moisture of skin. It protects the skin from the sun’s damaging UVs. It smooths the skin and reduces wrinkles. It hydrates the skin and gives it a natural shine. Willow herb flower extract- has anti-inflammatory properties. It treats eczema, psoriasis, rosacea and fungal infections. It’s a healing aging that reduces irritation too. Aloe Vera extract- it’s anti-aging ingredients that reduces the appearance of stretch marks. It moisturizes the skin and keeps acne at bay. It works in eczema and psoriasis and sooths in sunburns. Clover flower extract- accelerates the healing of wounds and sunburns. It slows down the aging of skin and treats eczema and psoriasis. It’s a great ingredient for skin cancer. Vitamin B5- hydrates and moisturizes the skin. It improves the softness and elasticity of skin. It sooths the dry, scaly and rough skin, minimizing redness. It alleviates itchiness and pain, repairing the damaged skin. It addresses acne, eczema and bed sores. You may confidently use the serum twice a day, right under your typical moisturizer. Don’t be surprised if the serum is going to give a tingling or cooling sensation in the beginning. Stay safe and run a patch test before applying on all skin. Leave it for 24 hours before start including it in your regular skin care routine. The serum absorbs easily and feels nice on skin. It doesn’t leave an oily or sticky residue on skin. It’s hydrating and evens out your skin complexion. It doesn’t give breakouts and shrinks pores. Never apply it on broken or wounded skin. The serum is a great choice to include in your daily skin care routine as it addresses various skin issues. Even though one may feel like paying the extra buck for it, the serum still stands as a reliable option to improve your skin complexion and it’s money well spent altogether. Recent reviews on Sugar & Fluff Beauty: the Bee Friendly Anti-Aging Face & Eye Serum, the Ogee Seeds of Youth Serum, the Murad Invisiblur Perfecting SPF 30 Serum, the Tata Harper Resurfacing Mask, the Ogee Jojoba Restore Face Oil Review.